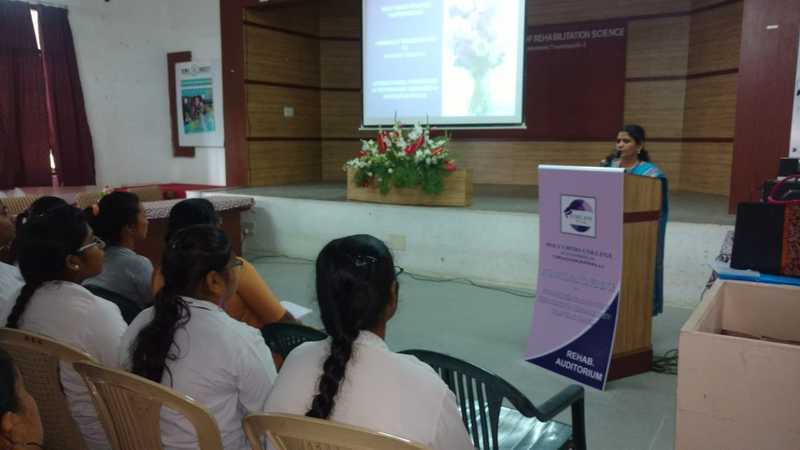 From 25.-27.07.2018 the conference on Higher Education was held in Trichy. Karola Wood was invited as guest speaker, but she could not attend because of pressing personal reasons. 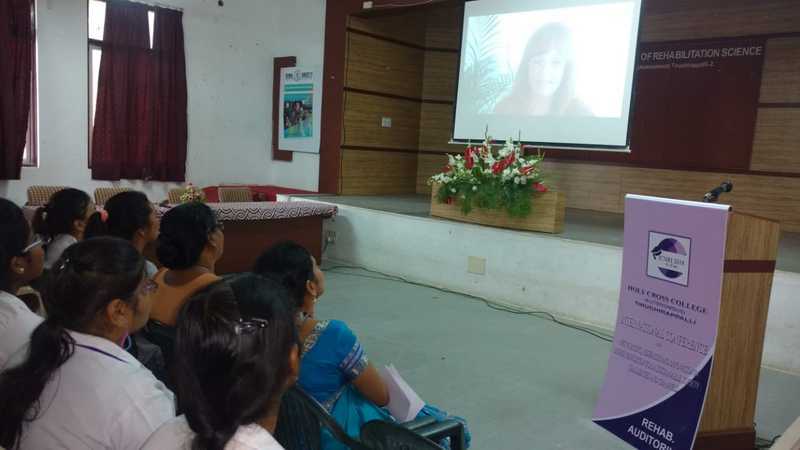 But with the help of film maker Christine Gertler she produced a video about REWA and the work we do and added about 90 pictures to it, sent it to Trichy and it was accepted. Both students Lobzang and Dechen from Leh had just arrived in Trichy for studies. They know REWA very well, so they represented Karola Wood and REWA properly, speaking about the work REWA does and talking to people, answering their questions. Lobzang is the sister of the very first girl with disabilities that Karola Wood treated 2003 in Lingshed after a medical student had found the little girl 2001 and had promised to find help for the disabled child. 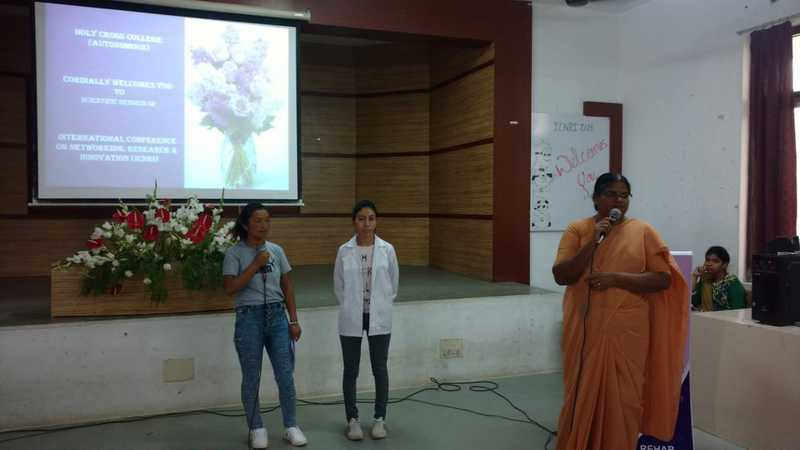 Both students, Lobzang and Dechen, come from poor families and have been able to travel to Trichy for studies with the help of sponsors from Germany. 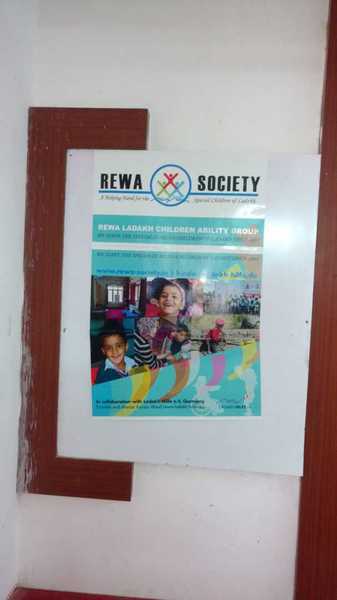 They will work with and for REWA later on, taking care of children with disabilties in Ladakh. 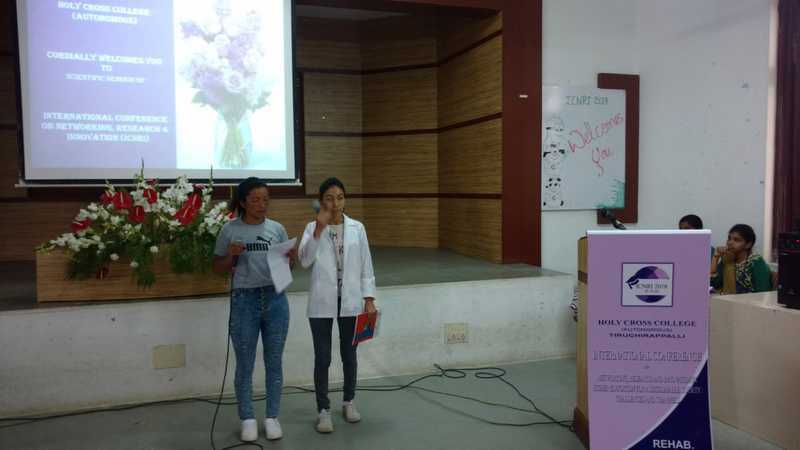 Both girls were supported with their preparations for the conference by the sisters of the Holy Cross College and a friend of Karola, a young local man Karthik. Thanks to everybody that made this incredible event possible!